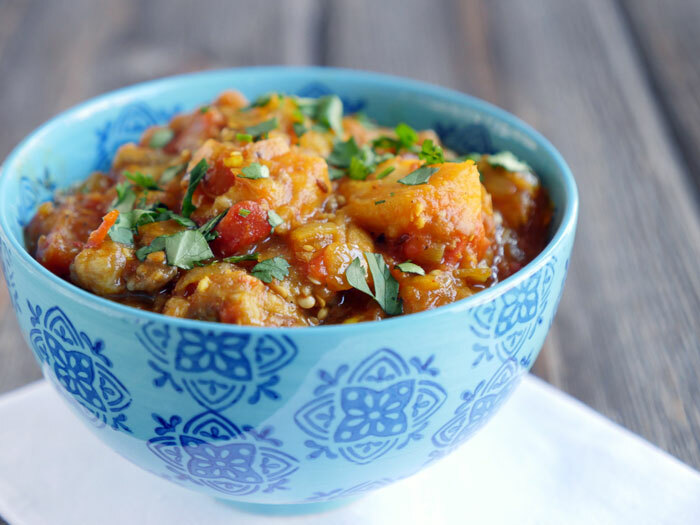 Baingan ka Bharta is a smoky Indian eggplant dish that’s full of flavor and surprisingly easy to make at home! If you like eggplants and Indian food, this recipe is definitely for you. 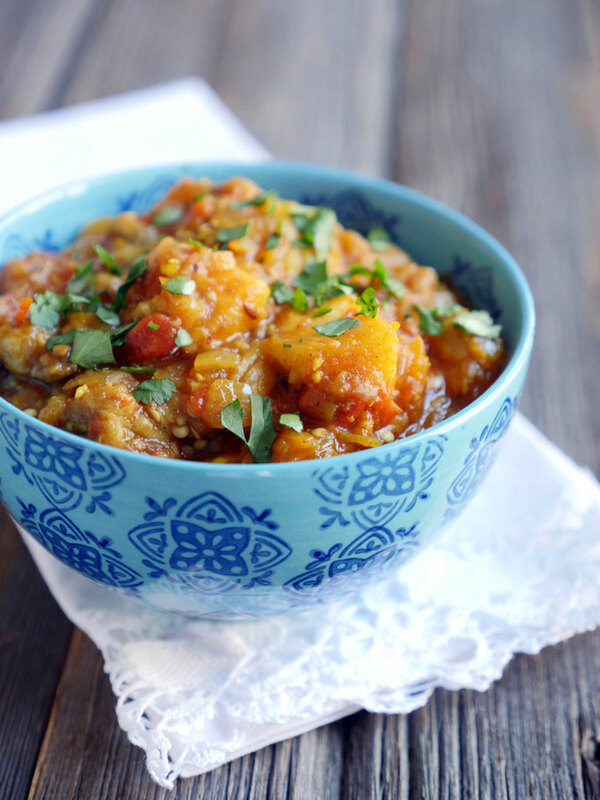 This spiced and smoky Baingan ka Bharta is bangin’…. yup, I went there. I couldn’t resist… the play on words was way too tempting. It’s true though – this recipe is fabulously tasty. 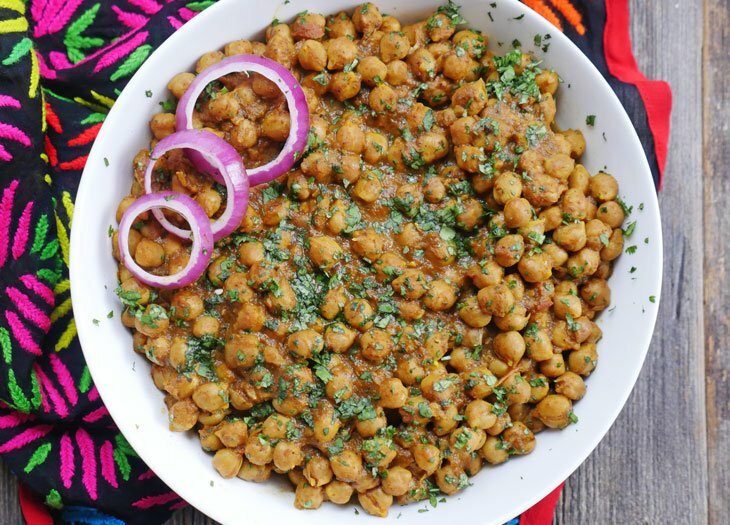 To make this popular Punjabi dish, you first have to “smoke” your eggplants. Some old school folks (like my parents) do this by turning on the stove and cooking the eggplant right over the flame. You can certainly do this over a direct flame or on a grill – just cook until the skin is nice and charred. I prefer using my oven (less chance of me burning my fingers). Heat your oven to 500 degrees, make a few slits in your eggplant and rub it with oil. Bake for 40 minutes, flipping it over halfway then broil for five minutes. See step 3? That’s what you get when you peel the eggplant. Doing this infuses the eggplant with a wonderful smoky flavor. 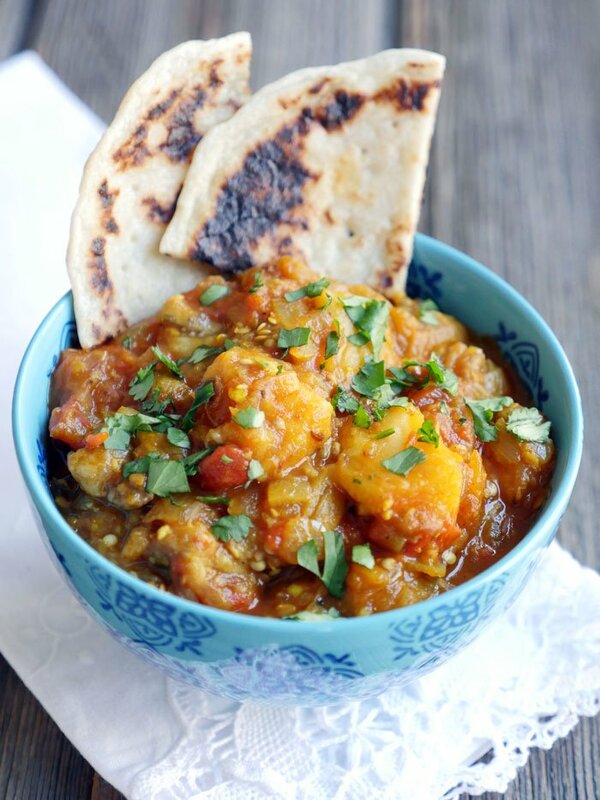 Mix the smoky eggplant with the spiced tomato masala and eat it with Paleo Chapati or Paleo Naan. It’s also great served over basmati rice or spaghetti squash. 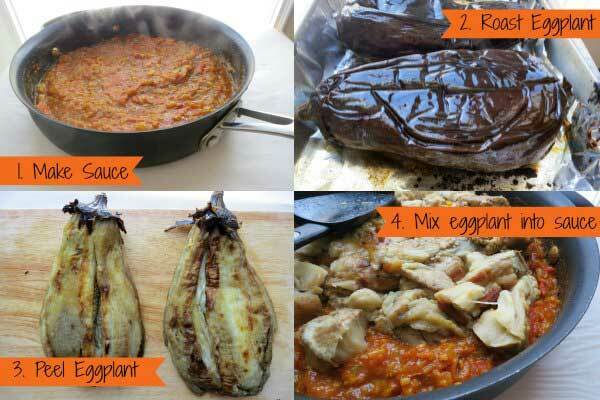 Make four slits in each eggplant and then apply 1 tablespoon of oil over each eggplant. Place them on baking sheet and then roast in the oven for 40 minutes, flipping halfway. While the eggplant is baking, add 2 tablespoons of oil in a dutch oven or heavy pot over medium heat. Then add cumin seeds. Add the garlic, ginger, Serrano pepper and spices. Stir-fry for a minute, add tomatoes and mix well. This is one of my favorites. I still need to try your Paleo Naan – this is the perfect dish to make with it! Excellent! I had leftovers for breakfast with a fried egg on top. Fantastic flavor. This is a new staple dish for us. It was very easy to make, my husband and I both love this dish and always wanted to make it. Mojie, I’m so glad you both enjoyed it 🙂 Thanks for letting me know how it turned out! I made this last night and it really was bangin’ LOL! We had it with salmon curry and your paleo naan. FANTABULOUS! I just made this again on Saturday and this time I doubled the recipe. I think this is going on my “once a week” menu for some time! 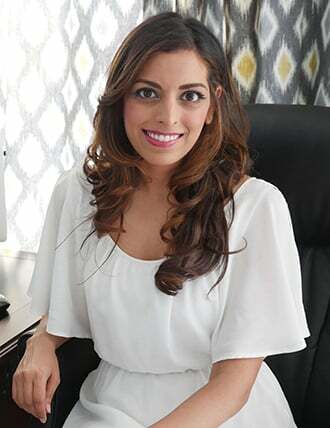 Tahirah, that’s awesome 🙂 So happy to hear that – thanks for leaving me a comment! I made this for the first time last summer, trying to use up all the eggplant from our garden. 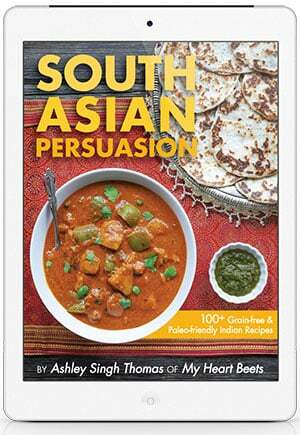 I like Indian Cuisine but no one else in my household does so I would make a small helping. I can’t remember where I got the recipe but I don’t grill the eggplant just peel and cut it up for the dish. Totally loved it, made it a few times last summer, ate it over rice. 🙂 My favorite dish for eggplant is the Middle Eastern Maloube (spelling) with eggplant, rice and meat all cooked together, served with a yogurt salad. Made this today and it was delicious! I used about 1.5 cans diced tomatoes instead and it turned out rather redder than yours, and next time I’ll cook the eggplant for less time (it was so soft after 40 minutes it was basically mush), but overall it tasted good, enjoyed it w some of your saag recipe (w collards instead of mustard greens), can’t wait for my almond flour to get here so I can have it with naan! I finally got around to making this last night, and it was SO good! Even my 2-year-old kept demanding, “More!” Thank you for yet another wonderful recipe! Cassandra, wow! 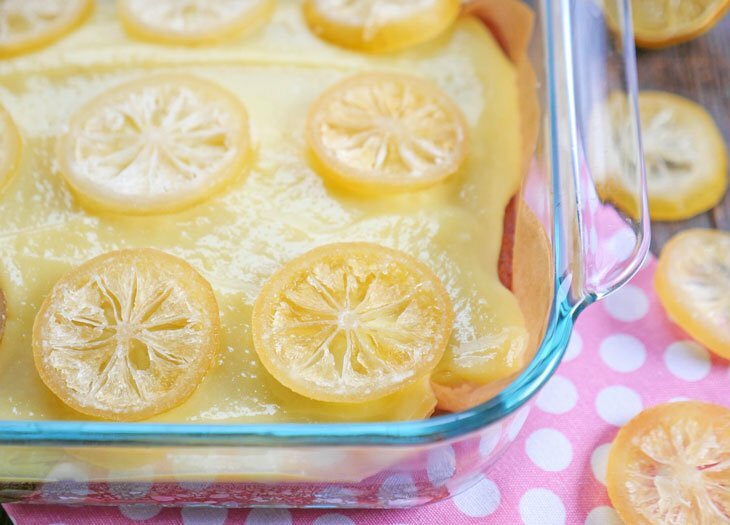 so happy to hear that even your two-year-old liked the recipe! thanks so much for letting me know how this turned out for you! THIS WAS AMAZING!!!! I went to a new Indian restaurant a couple months back and the server suggested this dish. So it was a happy accident that I found your recipe on Pinterest. It is way better than the restaurant’s version. THANK YOU!!!!! I made this last night. OUTSTANDING !!!! 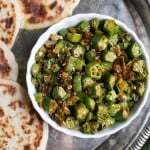 I use one jalapeno instead of the Serrano because that was what I had and no paprika but followed everything else… you will love this recipe. promise! 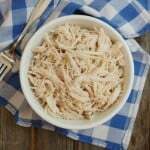 how do you get that homogeneous texture to the sauce, without throwing it into a food processor or cooking on the stove for hours? does it have to do with how finely the vegetables are chopped prior to adding to the skillet? i can’t wait to hear back from you. we are testing this recipe right now, on a whim. Hi Jenna and Ryan! Thanks for the kind words! The tomatoes are diced and so they are pretty small. While they do completely break down during the cooking process, I think that the eggplant adds texture so it’s not a completely smooth dish. If you want it smoother though you could always use an immersion blender? Hopefully I’ve understood/answered your question properly? Let me know what you guys think of the dish! what do you serve to dip in this? nan? chips?? 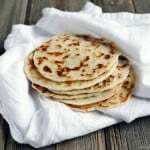 I’d use one of my flatbread recipes: Naan, Roti, Rice Roti. Hope that helps! This has quickly become one of my staple recipes. I add sauteed chicken if I want a complete meal. It’s also excellent with a fried or poached egg on top. I make a double batch on sunday and eat it all week long. Thanks for another delicious recipe!!! Anyone else have mass amounts of smoke come from cooking this?? Mine was certainly sending out smoke. May be small spills left in your oven from other dishes. Hi,, I want to make this for a large group of people.. I don’t see here how many this recipe feeds? Thanks! I’d say about 4 but that also depends on what else you’re serving. Hope that helps! Made this today. Delicious. Used 1/2 jalapeño and was flavorful but not spicy. Glad to hear it turned out well for you, Denise! Loved the recipe! As someone who doesn’t cook as often (the perks of a boyfriend who loves to cook! ), I had an easy time with the recipe, though it seems to take me longer to get everything chopped up than it would for another person. Used two serrano peppers and definitely could have just done one. Thanks so much for sharing your creations with us. I look forward to trying another one of your recipes! Awesome!! I’m so happy to hear that!! 🙂 Thanks for the review! I had never been to your blog before, but stumbled on this page when trying to recreate a dish we had at a restaurant last week. The dish looked great, so I thought I would surprise my wife by making it last night. I must warn you that I am no cook. That being said, I executed the dish (with a few hiccups) pretty easily and it was amazing! My wife thought it was better than the original. We are also trying to eat paleo so no doubt I will be back to browse some other recipes. Keep it up! 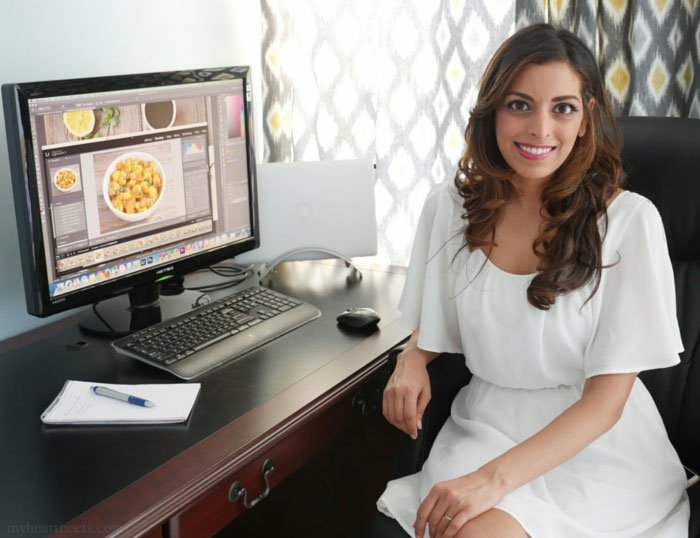 I’m so happy you found my blog through this recipe!! And I’m happy to hear that you and your wife liked it so much 🙂 I hope you’ll let me know what other recipes you try from the blog! 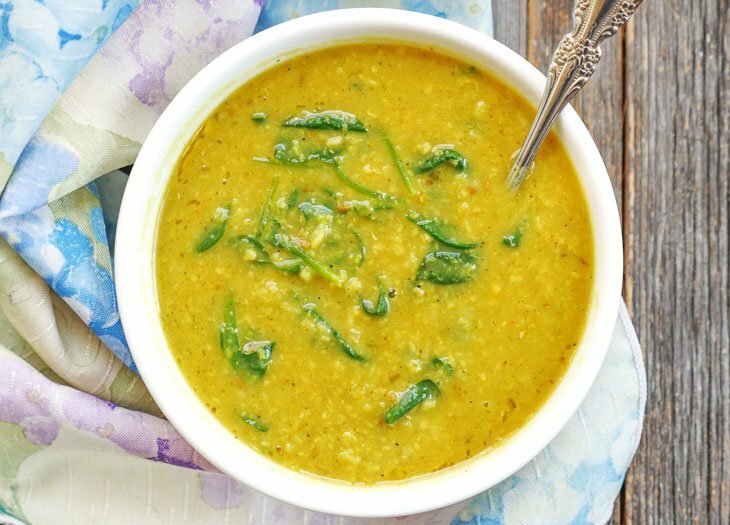 I highly recommend my vegetable korma and sarson ka saag! This sounds great. I’m hosting a meal for 100 so I’m trying to figure out how much this recipe will yield as a side dish. Any suggestions on the amount I should multiply it by? Oh wow! That’s impressive! I have no idea – it’ll depend on what else you’re making to go with it… Good luck, hope you’ll let me know what everyone thinks!! Wow – just made this. So good. I added shrimp at the end that I had marinated in cumin, garlic, salt and ginger. It was phenomenal!!!! Oops. Put this comment on the wrong page. Moving it now. Made this recipe yesterday. The flavor a came together perfectly. Love this recipe. This is a keeper. I really enjoyed this! I didn’t have any garam masala, but it still worked out. And I added some paneer to the recipe because, why not? Thank you for sharing this recipe. It’s a keeper. This recipe is delicious! 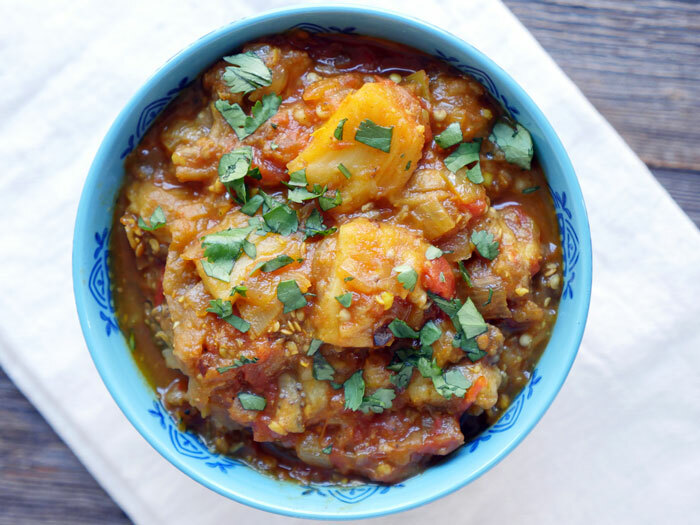 I was so happy to have found it, because I discovered I loved baingan bartha in Indian restaurants, and initially couldn’t find a good homemade version. Thanks for all the awesome recipes, Ashley! I made this tonight for the first time and we both loved it. It smells so fantastic as it cooks, and really warmed up the house on a cold winter night. The flavours were excellent. I served it with tandoori chicken, basmati, and samosas. Thanks! I love this so much! I have been going through so many of your recipes and they are hits. Looks like payday I will be buying the book! Thanks, Catherine! 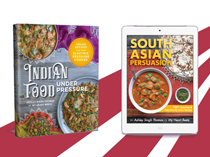 I’m happy to hear that you like my recipes – and I hope you love my ebook too! Thanks for posting! 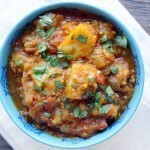 I enjoy making baingan ka bharta, and this looks like a good recipe. How many servings does this recipe produce? It depends on what else you’re serving but I’d say it serves 4-6. Hope that helps! Hi! If I wanted to add salmon to this, would I cook the salmon raw in the sauce you think? 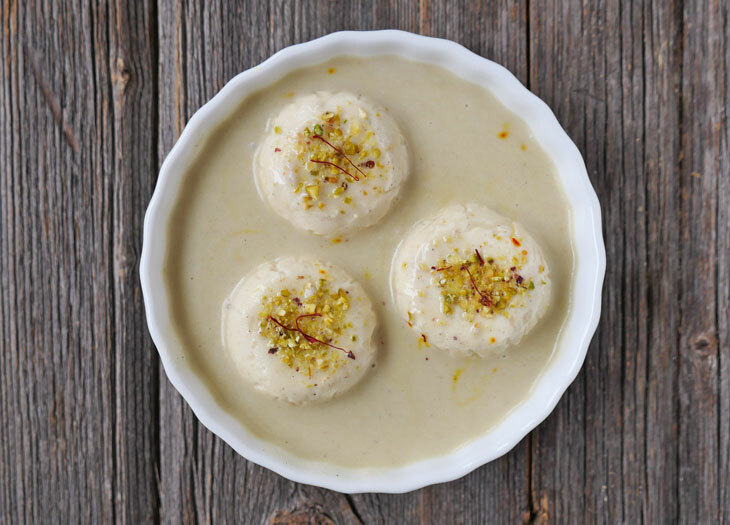 I had this amazing dish in San Francisco called Machha Ra Bhanta and can’t seem to find a recipe to match it. Yours looks pretty close! Isabelle, I would cook it in the sauce! I haven’t tried that dish but it sounds delicious! This looks amazing. Previous recipes I’ve used call for removing the seeds which tends to leave very little eggplant. You don’t mention removing the seeds. Do you leave them in? Hi I really want to make this recipe but I only found young egg plants. The really small ones. Can I still make this using those? Please let me know. 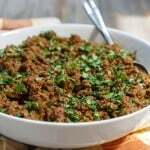 Can I use ground cumin instead of cumin seeds? We just had this and it was THE BEST!! We love eggplant and look for new ways to try it. This was hands down the best yet! Will definitely be making this a staple on our menu. Donna, that’s so great to hear!! I’m so glad you liked it 🙂 Thanks for letting me know how it turned out for you! I have sifted through many recipes and tried a few variations but yours is the best….hands down! Hubby loves them! 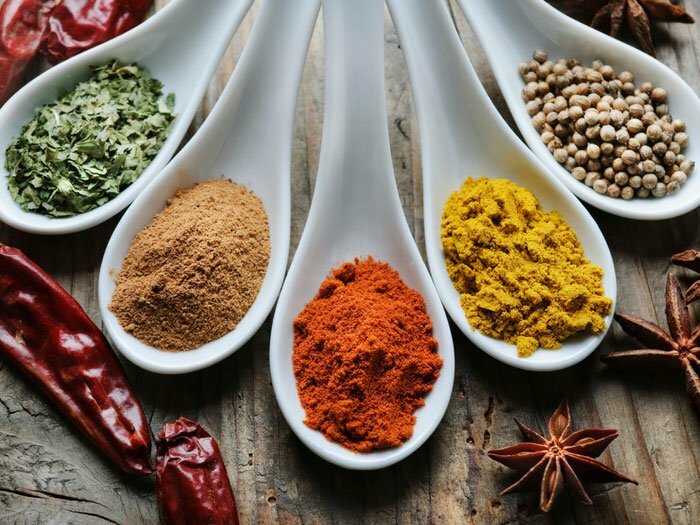 5 stars and I haven’t tried it yet.. Hello,.Is this Keto friendly as I have just ticked the box for Keto, this sounds delicious and would love to try, also is dry cumin ok or does it have to be seeds?….Thank you. I’ve mad similar recipes before, but this one turned out fantastic. I happened to have some already chopped and peeled eggplant that I just roasted in oil with some spices and then followed the sauce directions as stated. Great job. Wonderful recepie. Made it with extra green chillies so turned out to be really spicy and nice. My wife loved it. I’ve already passed the recipe o to 5 people and I o ly made it today. Going to check out your other recipes now!!! You’re a natural and it tastes like a mom made meal! Love this recipe just replaced paprika With smoked paprika to give it that flavor of eggplant being grilled on coal yummm. I made this some time ago and was searching for the recipe again ! It was delicious ! I will be making it again this weekend. I love this and it is the first dish I’ve ever made with eggplant that my family has not only eaten but enjoyed! I’ve used more eggplant in the last month than I have in the last 10 years and I love it! I’ve also tried adding zucchini and peppers it is always delicious.